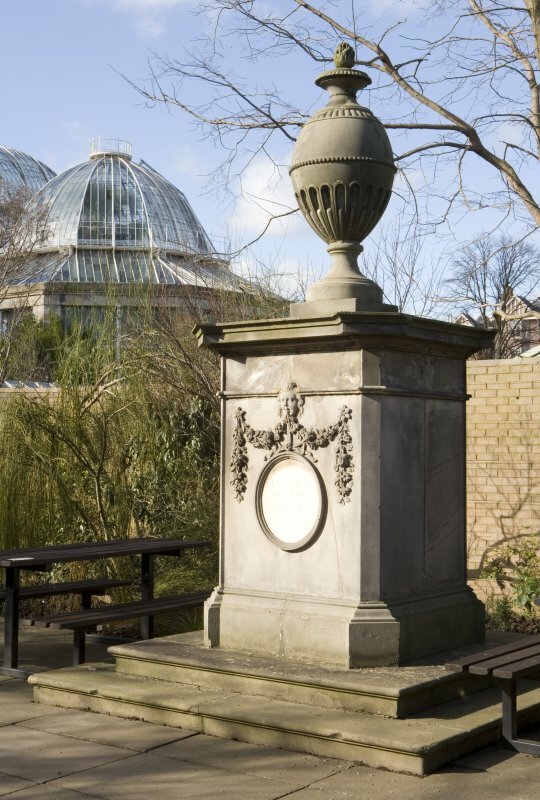 View of Linnaeus Monument, on terrace behind glass houses. 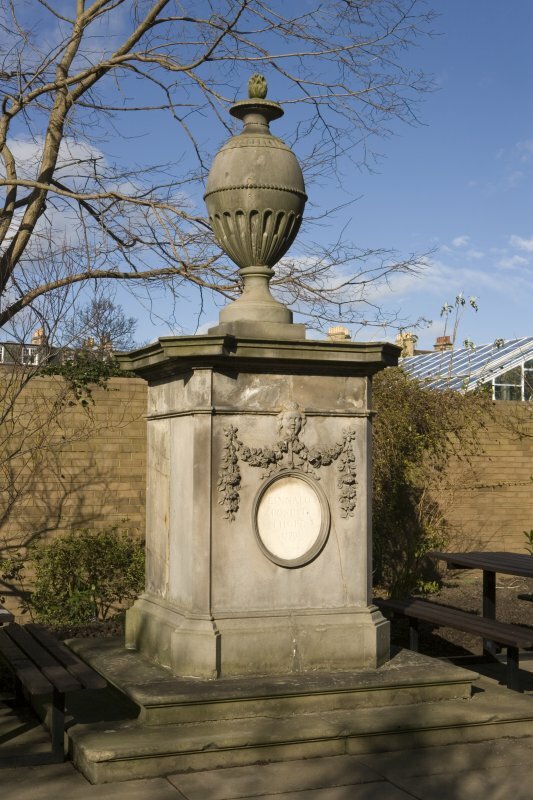 For list of related sites, see NT27NW 36.00 Edinburgh, Royal Botanic Garden, General. 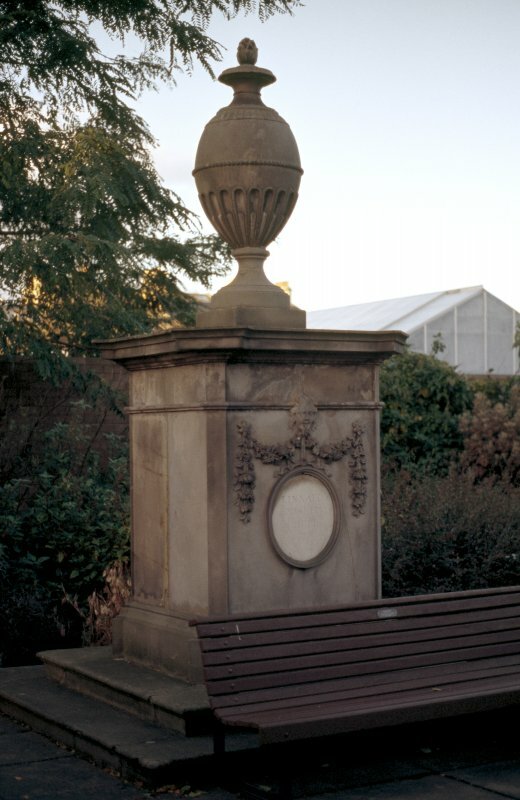 Designed by Robert Adam (1778) with a Latin dedication by John Hope. Relocated to the "Chilean Area" in 1969. 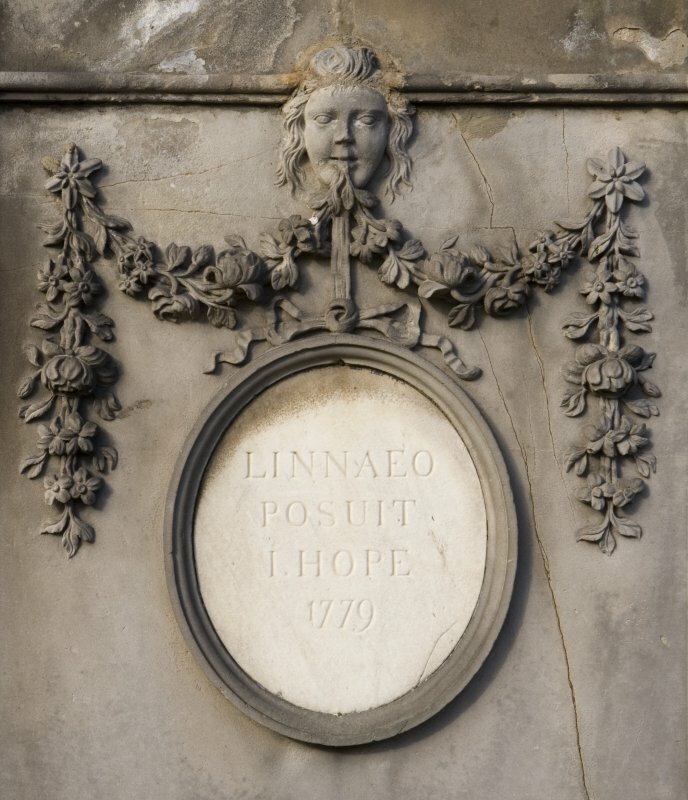 The momument commemorates the famous Swedish botantist Carl Linnaeus, who layed the foundations for the scientific classication of living things. Photographed for a survey of the Royal Botanic Gardens by the RCAHMS Threatened Buildings Survey as a result of restoration work on the Temperate House. 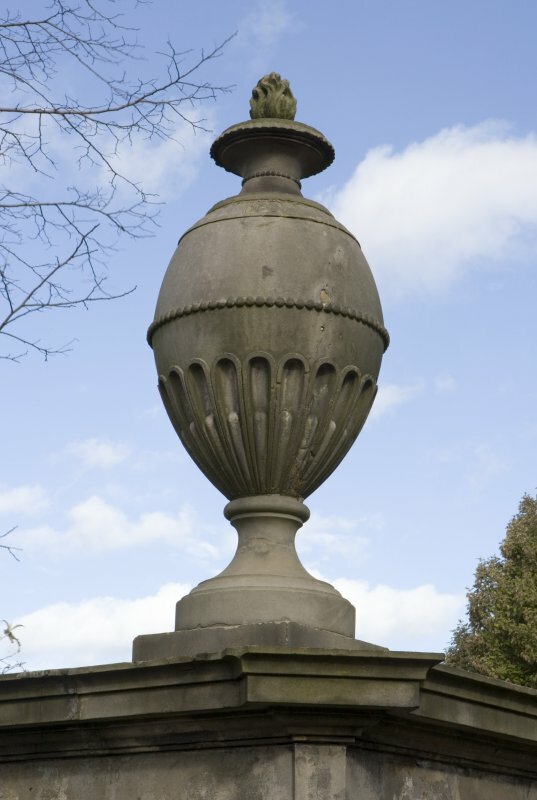 Carved oval urn with flame on top, with shaped moulding over square pedestal with portrait head of Linnaeus. From the mouth comes a garland of flowers framing a medallion with inscription. Restrained classical details. Carolus Linnaeus (1707-78), Swedish botanist.